Sitter: Elizabeth Harriet, Marchioness of Ormonde (d. 1928), n�e Grosvenor. Biog: Eldest daughter of Hugh Lupus Grosvenor, 1st Duke of Westminster; m. (1876) James Edward William Theobald Butler, 3rd Marquis of Ormonde. 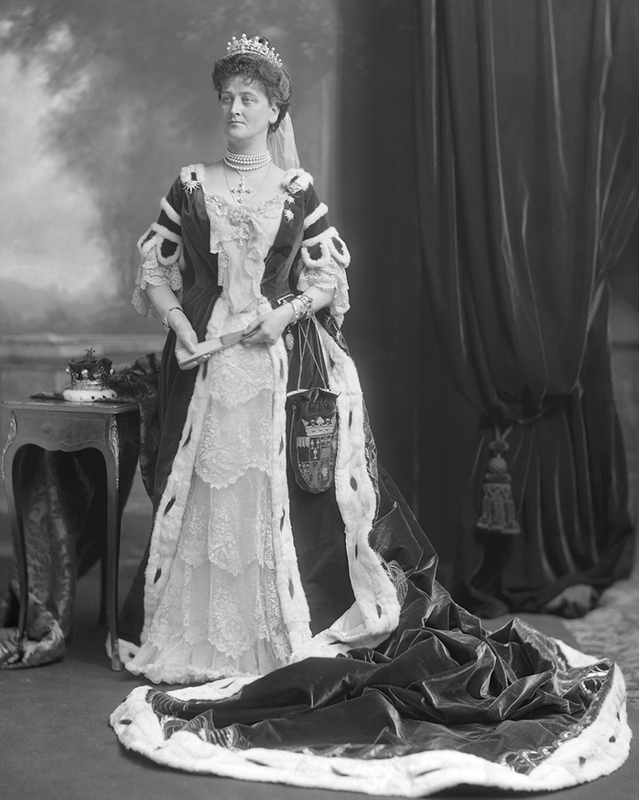 Costume: Coronation robes (see additional information below); dress of chiffon and lace, the petticoat with four flounces of Brussels lace; reticule embroidered with the arms of Elizabeth Harriet, Marchioness of Ormonde (ie the Ormonde arms quartered with those of Westminster). 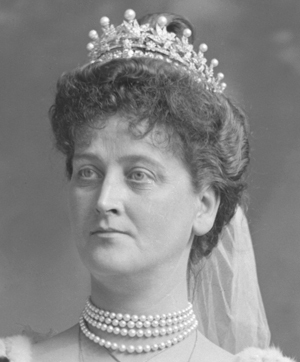 Costume Supplier: Dress by Mrs Nettleship, 58 Wigmore Street, London, W.
Jewellery: Items of jewellery remodelled for the Coronation by Hennell [ck st dir]. Biog: Burke's Peerage; The Times, 26 March 1928, p 10c. Occasion: J.E.C. Bodley, The Coronation of Edward the Seventh: A Chapter of European and Imperial History, London, 1903, p 363, (Lists of Persons Present at or who were invited by the King's Command, to the Coronation of Their Majesties King Edward VII, and Queen Alexandra...). Costume: The Observer, 10 August 1902, p 6f; The Standard, 11 August 1902, p 7e; The Court Journal, 16 August 1902, p 13; The Gentlewoman, 16 August 1902, pp. 203-208; Lady's Pictorial, 16 August 1902, p. 208a; The Queen, 16 August 1902, pp. 256-257; The Standard, 23 June 1911, p 9e; The Daily Telegraph, 23 June 1911, p 11b. Costume Supplier: Lady's Pictorial, 16 August 1902, 208c; The Court Journal, 16 August 1902, p 24. Reproduced: British Vogue, 75 years Promotion issue, June 1991, p. 53 (promotion for Hennell); (version) The Car Illustrated, 1 March 1903, p 185; Lady's Pictorial, 30 April 1904, p 781; A.C. Fox-Davies, ed., Their Majesties' Court 1906, London, 1907, 181; The Gentlewoman, 15 April 1911, p 497; The Ladies Field, 13 April 1912, p 283. 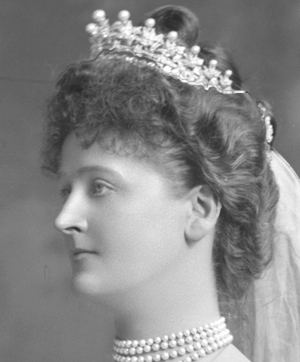 Additional Information: Newspaper reports covering the Coronations of 1902 and 1911 made special mention that the Marchioness of Ormonde appeared in the robes worn by her maternal grandmother, Harriet, Duchess of Sutherland, Mistress of the Robes to Queen Victoria, at the Coronation of 1838. Presumably this required dispensation from the Earl Marshal's office or some alteration to the garment since the robes of a Marchioness are, by order of the Earl Marshal, 1 3/4 yards in length, the edging of miniver four inches in breadth, while those of a Duchess are distinguished by being 2 yards in length, the edging of miniver five inches in breadth.